LP - CBS 1/2 Speed Mastersound Shop MyMusicFix!! CBS Mastersound Recordings employ state of the art technology in every link of the recording and manufacturing chain to provide the best levels of sonic accuracy and realism. Out of print for over 20 years now, these master recordings are some of the most sought after LPs in the collectors market. Newsweek remarked, "A marvelous clarity of texture and sharpness of detail, and enough sonic power to threaten your windows (and neighborly relations)." 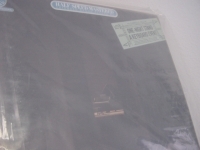 "Bob James, Sign of the Times"
CBS 1/2 Speed Master LP "Out of Print, Last Copy" Tracks Include: "Hypnotique" "The Steamin' Feelin'" "Enchanted Forest" "Unicorn" "Sign Of The Times" "Love Power". 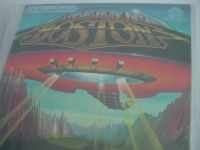 "Boston, Don't Look Back - Half Speed Vinyl (Last Copy)"
CBS 1/2 Speed Master LP "Out of Print, Last Copy" Tracks Include: "Don't Look Back" "The Journey" "It's Easy" "A Man I'll Never Be" "Feelin' Satified" "Party" "Used To Bad News" "Don't Be Afraid". 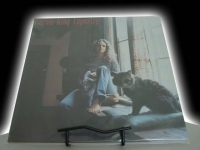 "Carole King, Tapestry - CURRENTLY OUT OF STOCK"
CBS 1/2 Speed Master LP, Grammy award winning effort in 1971, voted the #39 album of all time "Out of Print, Last Copy" Tracks Include: "Feel The Earth Move" "So Far Away" "It's Too Late" "Home Again" "Beautiful" "Way Over Yonder" "Out In The Cold" "You've Got A Friend" "Where You Lead" "Will You Love Me Tomorrow?" "Smackwater Jack" "Tapestry" "(You Make Me Feel Like)A Natural Woman" "Smackwater Jack (Previously Unreleased Live Version)". 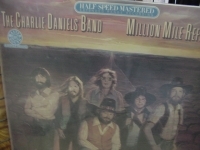 "Charlie Daniels Band, Million Mile Reflection"
CBS 1/2 Speed Master LP "Out of Print, Last Copy" Tracks Include: "Passing Lane" "Blue Star" "Jitterbug" "Behind Your Eyes" "Reflections" "Devil Went Down to Georgia" "Mississippi" "Blind Man - Charles Daniels" "Rainbow Ride"
"Dan Fogelberg, Phoenix - CURRENTLY SOLD OUT"
CBS 1/2 Speed Master LP "Out of Print, Last Copy". 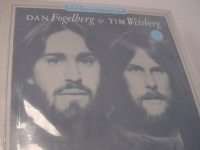 Tracks Include: "Tullamore Dew" "Phoenix" "Gypsy Wind" "The Last To Know" "Face The Fire" "Wishing On The Moon" "Heart Hotels" "Longer" "Beggar's Game" "Along The Road"
"Dan Fogelberg/Tim Weisberg, Twin Sons Of Different Mothers - CBS Half-Speed"
"Herbie Hancock, One Night Stand - A Keyboard Event Double LP"
ONE NIGHT STAND - A KEYBOARD EVENT - CARNEGIE HALL & DOROTHY CHANDLER PAVILION - CBS Half-Speed MasterSound Limited Edition Albums have been OUT OF PRINT since the early '80s. DOUBLE LP SET. LAST SEALED COPY FOREVER. They are some of the Rarest Audiophile Albums in the world and this copy if you can ever find it sell for at least $300 in he collectors market. These Albums were mastered in Half-Speed technology which allows more time for the Original Session Master Tape to be transferred perfectly to Vinyl, a very costly and time-consuming process that was also used by Mo - Fi. Each has superior packaging and unique static free inner sleeves to protect each piece of vinyl. Known for their pure and natural sound - still considered some of the best Vinyl ever created. Mymusicfix only has a few of these CBS MasterStound Pressings available and could be the last in this Factory Sealed condition. Don't Miss Out! 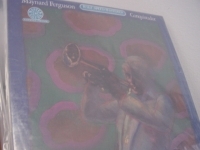 FEATURING THESE ARTISTS: HERBIE HANCOCK - GEORGE DUKE - STANLEY CLARK - CHARLES EARLAND - BOBBY HUTCHERSON - BOB JAMES - HUBERT LAWS - RAMSEY LEWIS - BUDDY WILLIAMS - KENNY BARRON - EUBIE BLAKE - ARTHUR BLYTHE - RODNEY FRANKLIN - SIR ROLAND HANNA TRACKS ARE: SIDE ONE CHARLESTON RAG - AFTER THE RAIN - SUNSHOWER - SIDE TWO: MIRABELLA - THE PRINCESS - MARCHING HOME - WINDING RIVER - SIDE THREE: DOOM - MEMORY OF MINNIE - A COMMON CAUSE- SIDE FOUR: D.C.H - HEXAGON - SOLO SEQUENCE FOR "HEXAGON"
CBS 1/2 Speed Master LP "Out of Print, Last Copy". Tracks Include: "Play the Game Tonight" "Right Away" "Fair Exchange" "Chasing Shadows" "Diamonds and Pearls" "Face It" "Windows" "Borderline" "Play On" "Crossfire"
CBS 1/2 Speed Master LP "Out of Print, Last Copy". 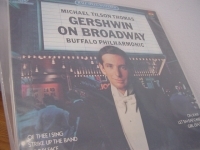 Tracks Include: "Gonna Fly Now" "Mister Mellow" "Star Trek (Theme)" "Conquistador" "Soar Like an Eagle" "Fly"
"Michael Tilson Thomas, Gershwiin On Broadway - Double LP - CBS Half-Speed Mastersound Limited Edition"
"Neil Diamond, You Don't Bring Me Flowers"
CBS 1/2 Speed Master LP "Out of Print, Last Copy" NEIL DIAMOND - YOU DON'T BRING ME FLOWERS. These Albums were mastered in Half-Speed technology which allows more time for the Original Session Master Tape to be transferred perfectly to Vinyl, a very costly and time-consuming process that was also used by Mo - Fi. Each has superior packaging and unique static free inner sleeves to protect each piece of vinyl. Known for their pure and natural sound - still considered some of the best Vinyl ever created. 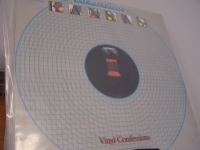 Mymusicfix only has a few of these CBS MasterStound Pressings available and could be the last in this Factory Sealed condition. Don't Miss Out!! You Don't Bring Me Flowers may not be on par with Neil's earlier albums from the '70s such as "Tap Root Manuscript", "Stones", and "Moods". 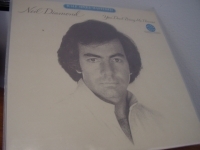 However, for the Neil Diamond fan, this one is worth owning. This release was produced by Bob Gaudio as was 1977s "I'm Glad You're Here With Me Tonight" (and other Diamond albums) and is actually quite similar in its production values. After 1976's "Beautiful Noise" Neil's sound seemed to move from the big, expansive sound of his previous albums to music with more of a smaller "band" feel. Granted, this album is more in the "fluffy pop" category than some of his deeper, earlier work, but still very enjoyable for many Diamond fans, including me. This album did produce two big singles for Neil that year: "Forever In Blue Jeans" and his duet with Barbra Streisand on "You Don't Bring Me Flowers". By the way, if you are a fan of "Flowers", Neil originally performed this song solo on the "I'm Glad You're Here With Me Tonight" album, which is also a very good version. If you like Neil but don't own "You Don't Bring Me Flowers", you should add this one to your collection. 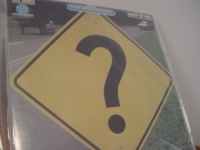 "One Night Stand, Key Board Event (2 LPs)"
CBS 1/2 Speed Master LP "Out of Print, Last Copy"
"Ramsey Lewis, Live at the Savoy"
CBS 1/2 Speed Master LP "Out of Print, Last Copy" SANTANA - ZEBOP - CBS Half-Speed MasterSound Limited Edition Albums have been OUT OF PRINT since the early '80s. These Albums were mastered in Half-Speed technology which allows more time for the Original Session Master Tape to be transferred perfectly to Vinyl, a very costly and time-consuming process that was also used by Mo - Fi. Each has superior packaging and unique static free inner sleeves to protect each piece of vinyl. Known for their pure and natural sound - still considered some of the best Vinyl ever created. Mymusicfix only has a few of these CBS MasterStound Pressings available and could be the last in this Factory Sealed condition. Don't Miss Out!! Carlos' guitar work is top notch as always on this cd as well as the great vocals of Alex Litgerwood. I think the rockin' songs SEARCHING and OVER AND OVER are better than the 2 hit singles off this LP - WINNING and SENSITIVE KIND. 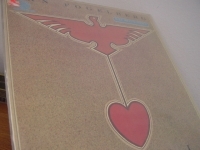 LOVE YOU MUCH TOO MUCH is the best instrumental on the cd with some very intense moving guitar solos. The track THE BRIGHTEST STAR is well worth a listen with a blues rock style with blistering guitar solos by Carlos and a great vocal performance by Alex Litgerwood. I also love the excellent guitar work on HANNIBAL which is the last track on the LP;Carlos really gets jammin' on this song. 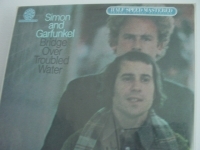 "Simon & Garfunkel, Bridge Over Troubled Water"
CBS MasterSound Half-Speed Vinyl. Probably one of the last sealed copies left in the world. This recording topped the charts for 10 weeks, sold more than five million copies in the U.S. alone, won the Grammy Award for Album of the Year and includes four hit singles: "Bridge Over Troubled Water", "The Boxer", "Cecilia" and "So Long, Frank Lloyd Wright." Other Tracks Include: "El Condor Pasa" "Keep The Customer Satisfied" "Baby Driver" "The Only Living Boy in New York" "Why Don't You Write" "Bye Bye Love" "Song For the Asking"